A stunning sunrise viewed from Glen Cove Road in early January. If you’re ever up at the crack of dawn and cannot get back to sleep and need something to do, try catching a sunrise at Glen Cove. 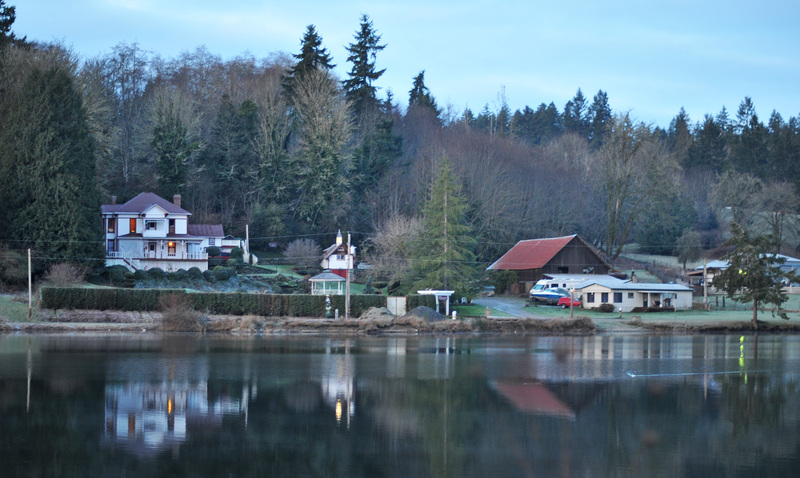 This hidden gem of the Key Peninsula is located off of Cramer Road and an easy drive coming up the highway (turn right on Cramer Road at the Key Center) or down (left on 134th Avenue which turns into Cramer Road). The beauty and tranquility of Glen Cove is obvious. I’m sure this fact was not lost on the pioneers who logged and built homes here. The Glen Cove Hotel, left, was built in 1896 and sits on the southern bank of the cove. In 1896 Nicholas and Agnes Peterson, German immigrants who moved to the area from Nebraska a few years earlier, built a resort hotel along the southern bank of the cove. The hotel was used by “drummers,” or sales people, who worked the Key Peninsula from Longbranch to Allyn. But people from town also came out to the peninsula in droves to enjoy the scenery and Agnes Peterson’s hearty cooking. “The hotel and the Petersons were held in high regard by the many Tacomans who came by steamboat to spend a quiet weekend and enjoy the famous cooking of Agnes Peterson,” according to glencovehotel.com. The hotel was shuttered in the the 1930s as automobiles became popular and travel to the peninsula was not as laborious as it used to be. It became a private residence until Lawrence and Lucian Nadeau converted the historic hotel into a bed and breakfast inn popular with wedding parties and historic tours. The hotel was listed in the National Registry of Historic Places in 1978. 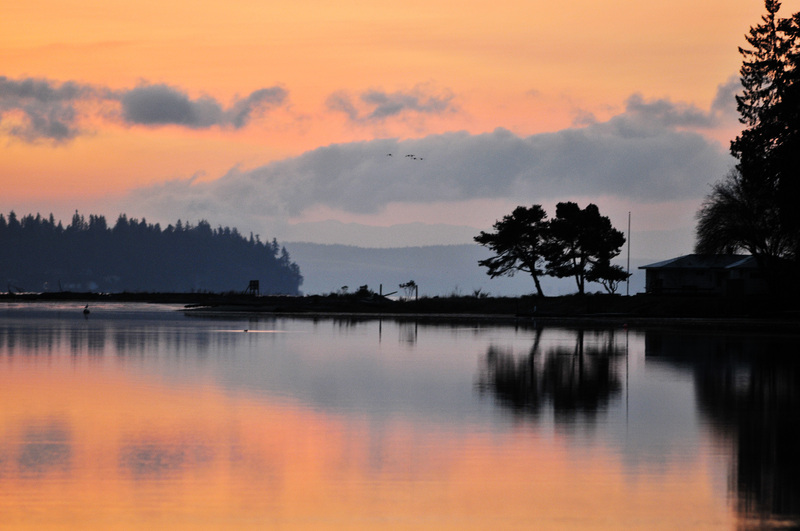 The cove was originally named Balch Cove after early resident Billy Balch and Captain Lafayette Balch founder of Steilacoom, according to an account by Luciann Nadeau and Simon Priest. 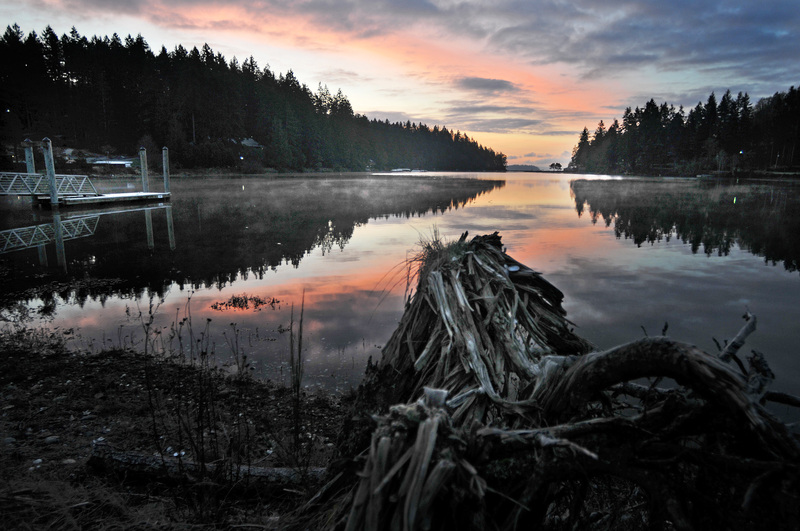 Its name was later changed to Glen Cove to avoid confusion with another Balch Cove in Washington State. This hidden gem in the Key Peninsula is worth the drive.